Tom Weiler is a life long trial lawyer and until merging his practice with Langhenry, Gillen, Lundquist & Johnson, was the managing partner of the Chicago office of Norton, Mancini & Weiler. Tom concentrates his practice in the area of defense litigation with a special emphasis on civil rights and employment litigation. He has represented numerous municipalities, elected officials and other government employees in matters in federal court and state court as well as before the EEOC and Illinois Department of Human Rights. Tom also represents insureds in a wide variety of personal injury defense matters, and his practice includes the representation of a national school transportation company as well as a large food distribution company. He also defends real estate agents and brokers in litigated real estate matters. In practice since 1983, he has successfully tried numerous cases to verdict in both state and federal courts, including those with exposures in the millions of dollars. He has argued appellate cases before the Illinois courts of appeals, Illinois Supreme Court and the U.S. Court of Appeals for the Seventh Circuit. Tom received his Bachelor’s degree in Business Administration from the University of Notre Dame in 1980. He received his Juris Doctor from Loyola University of Chicago School of Law in 1983. He is a member of the Illinois Association of Defense Trial Counsel, the Illinois State Bar Association and the Defense Research Institute. He speaks to various groups on subjects involving civil rights and employment litigation. 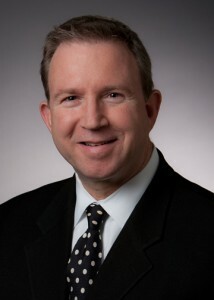 He is the author of “Applicability of Abstention Doctrines in Federal Court,” Defense Update (Illinois Association of Defense Trial Counsel), Municipal Law, Fall 2001, a contributing author to the IDC Monograph, “Mandatory Arbitration Clauses in the Employment Context,” IDC Quarterly, Third Quarter, 2005, and a contributing author to the IDC Monograph, “The Price of Getting Even: An Analysis of Employment-Related Retaliation Claims,” IDC Quarterly, Third Quarter, 2007. Tom and his wife have two children and reside in Downers Grove, Illinois.